Valentine’s Day is just around the corner, so it’s time to spread a little love by spreading some BAM! Tape around. This colored masking tape can be used for crafting, decorating and even gift wrapping. So versatile! 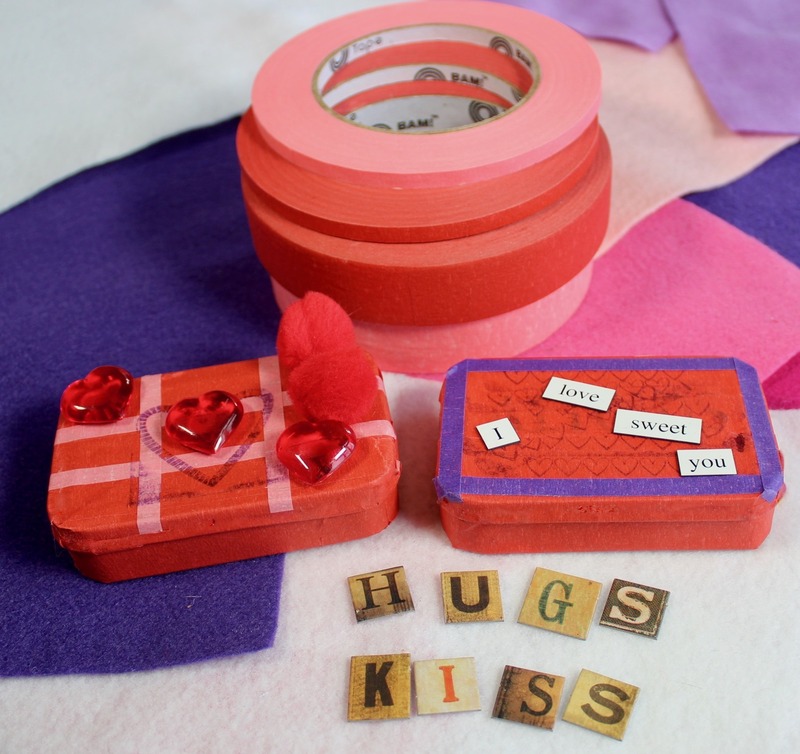 Keep scrolling to find out how I use colored masking tape to create Valentine fun. I love decorating for holidays. In fact, I keep my normal decor minamalist so that I always have room to decorate for special occassions, seasons and holidays. BAM! Tape colored masking tape is a fun and economical decorating tool that I always use. 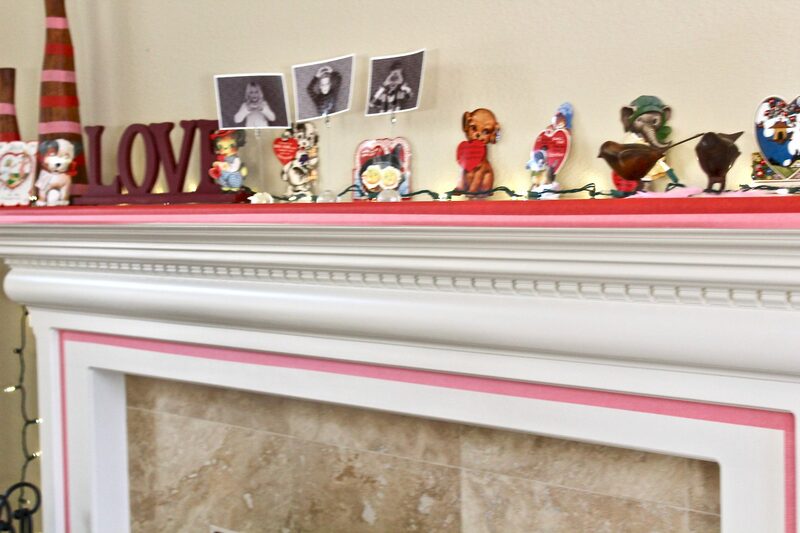 One of my favorite things to change up is the white fireplace mantle in my living room. I am so in love with the “pop” of the red and pink masking tape against the white! This is such a quick and easy decor statement for Valentine’s Day. I literally spent no more than 20 minutes putting the whole mantle together, and that includes the time that I spent fawning over my vintage style valentine cards. If you don’t have a mantle, no worries! 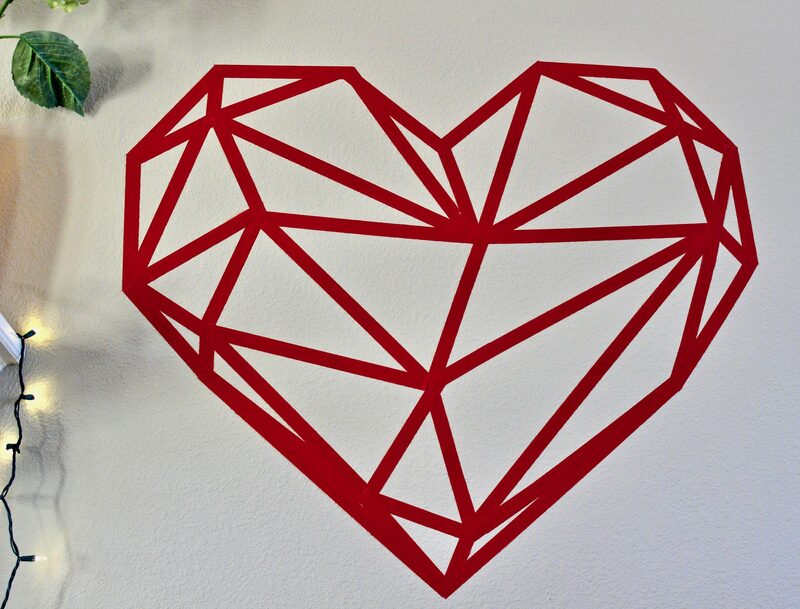 Check out this awesome origami heart that I taped up on the wall. This heart will really stand out in your decor and set just the right mood for your Valentine’s Day. 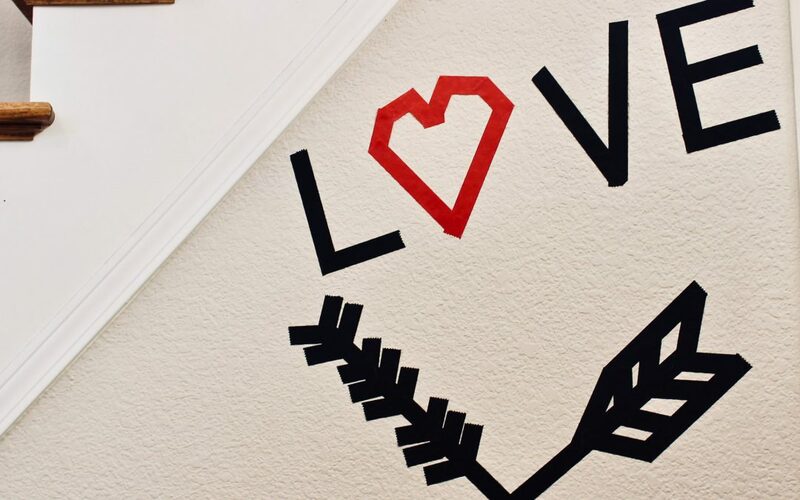 You can wing it, and tape a heart up “freestyle” or if you are looking for perfection, then you can project a heart image on the wall and “trace” it with masking tape. Simple, economical, beautiful! At BAM! Tape™ we are all about spreading the love around as well as spreading the tape. What better way to spread both around than by giving your loved ones a Tin Of Love? These tins are adorable and so easy to make. I made these from upcycled Altoids tins, colored masking tape and some crafting supplies that I had around the house. I also added some Valentine stamps to the tape. I made a Tic-Tac-Toe tin and a Hugs & Kisses tin. 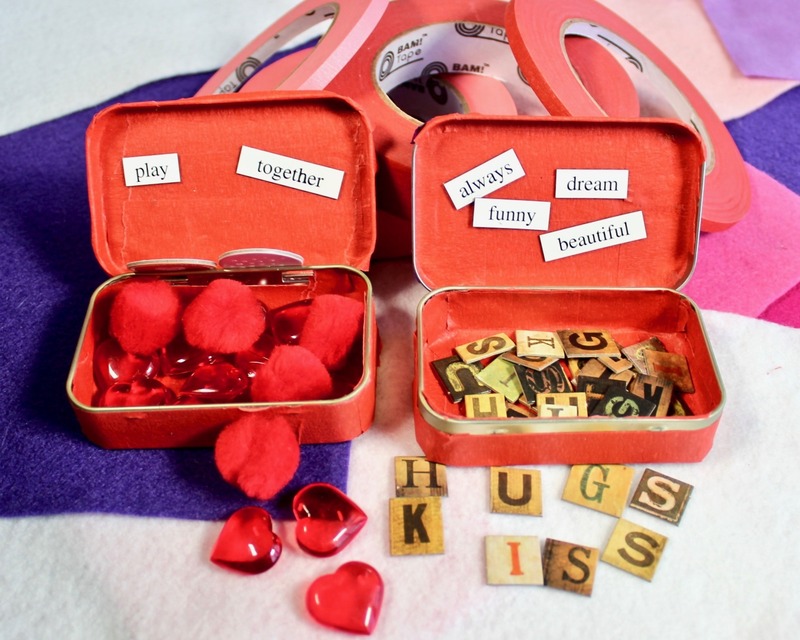 The Tic-Tac-Toe tin has acrylic heart and pom-pom playing pieces inside, and the Hugs & Kisses tin contains chipboard letters for spelling “hugs” and “kiss” as well as magnetic words expressing adoration. These cute tins can be made so many different ways, depending on who they are for. Project instructions are here. Always remember the age of the person that you are making the tin for, and do not include tiny pieces or magnets for children who put things in their mouths. I sure hope that one of my kids gets the hint and makes a cute tin for me this year! 3 simple words that everyone needs to hear. Or see! My kids found this on their bedroom door one day after Daddio got his hands on a roll of red masking tape. They were so excited by this beautiful message from the heart. 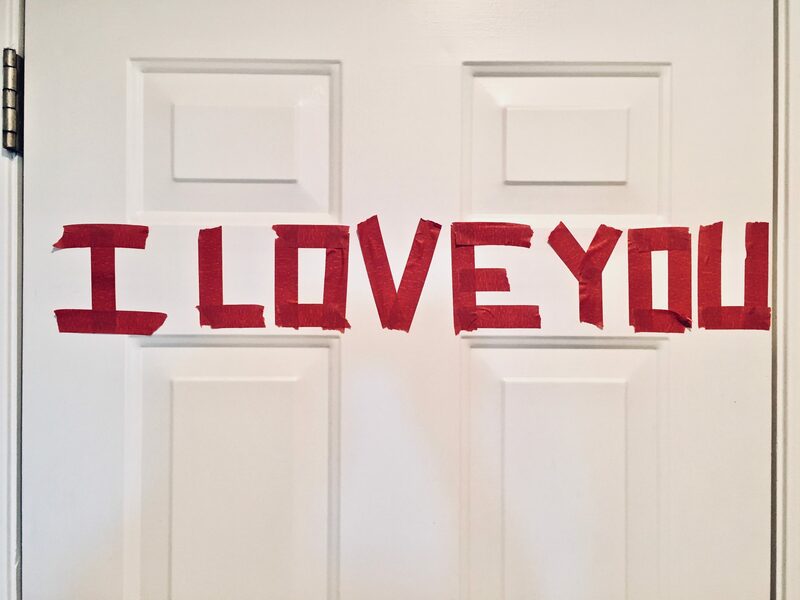 With masking tape, you can spread your message of love all over the house! And unlike those little wooden plaques that you find in the stores, you don’t need to put any holes in your walls, and you can customize your messages. So, grab a roll of masking tape and let your heart lead. 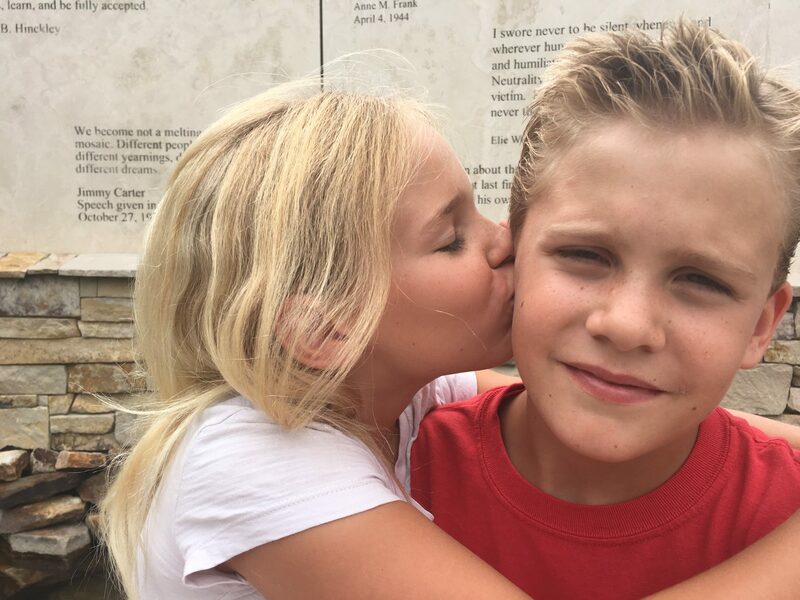 Are you inspired to tell someone that you love them? I hope so! When you give love you feel good and so do the people around you. Happy Valentine’s Day from the BAM! Tape™ Family!